Fill in your details below and we will let you know within 24 hours if we can get Risk: Vikings to you with haste! LET THE VIKING AGE BEGIN! The continent of Europe has faced many battles in the past, but none as brutal as what is about to become a 250-year conquest. 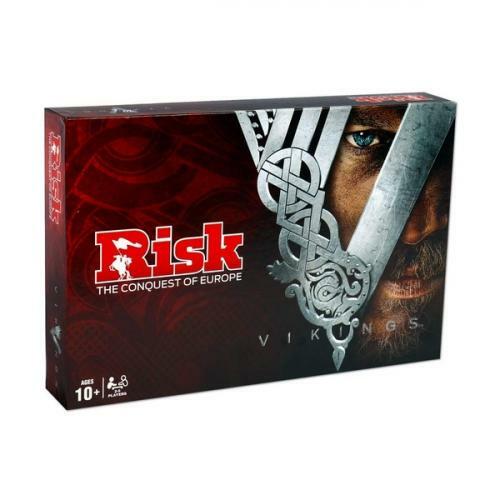 With special Cards of the Gods to help boost your forces or ruin your plans, and special Raid cards to capture strategic strongholds and gain new warriors, this edition of Risk is an epic battle for control of Europe... and its vast riches. See you in Valhalla!